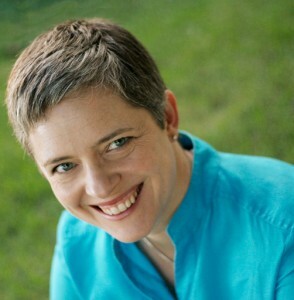 This month we welcome Austin SCBWI member Paige Britt, a brilliant writer with a huge imagination whose words are for readers of all ages. We are so happy she found time in her schedule to speak to us today. 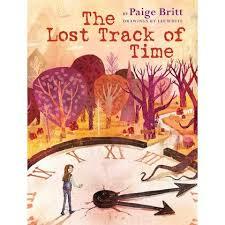 In her debut book, THE LOST TRACK OF TIME, Paige writes about a girl who falls through a hole in her schedule. May we all find a few holes in our own schedules, and may the falling land us in places just as exciting and creative as the worlds Paige dreams up. 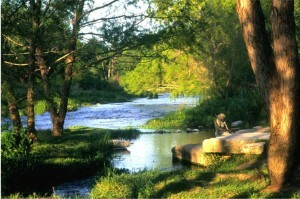 I moved to Salado, Texas, when I was four. At the time, there were fewer than a thousand people living there. My parents bought an old, three-story, stone house with twelve acres of land attached, which to a small child is an entire kingdom. We had a patch of woods, a spring-fed creek, and lots of blue sky. I spent all of my time either inside reading about magical worlds or outside imagining that I lived in one (which I did). We had no television, so I developed a rich inner life fueled by the stories I read and the time I spent outdoors. To this day, the “super powers” I developed as a child are what I rely on as a writer—a love of books, an ability to engage in my surroundings, and my wonder in the world around me. I always wanted to be a writer, but I never really knew what that meant. I knew it meant that I would tell stories—that I would create worlds and inhabit them with characters from my imagination. But it took me a long time to realize how much hard work and discipline writing really takes. It wasn’t until I was in my mid-thirties that I got serious about working on craft and learning about the publishing process. If someone were to follow you around for 24 hours, what would they see? How does your everyday life feed your work? If someone were to follow me around for 24 hours they would notice right away that I’m not a morning person! My day starts at around 6:00 a.m., not because I’m an early riser, but because it takes me a long time to wake up. I get up and drink coffee and read and meditate and eat breakfast. By then, two hours have passed and I’m just now ready to greet the day. After that, I usually go to the library and write for a few hours in my favorite sunny spot, surrounded by friends—books, art, librarians, and other library patrons. My afternoons and evenings are spent teaching or seeing clients (I’m a spiritual director and meditation teacher). I live in a small city close to downtown and walk most places I go. My family lives nearby, so in the course of a normal day I usually run into someone I know or am related to. My days are quiet and contemplative, but full of warm connections—not unlike the stories I write! I always feel a sense of accomplishment when I get a letter or email from a passionate reader. It makes me feel connected to someone I’ve never met and they feel connected to me. 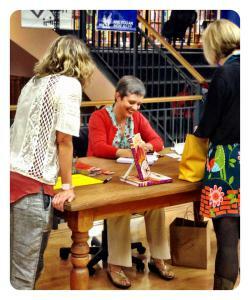 All because I’ve written a story that is very personal, and yet universal in some meaningful way. That makes me proud, delighted, and inspired! I’m surprised by how difficult the creative life is. I thought a long time before writing that sentence. I wanted to say something inspiring, but I decided to go with honest, instead. Deciding I wanted to live a creative life meant making lots of sacrifices, including financial security and external approval. In my experience, that’s not easy to do. Social pressures to conform are subtle, but powerful. To become aware of them and persist in following the creative call takes energy and determination. This may sound like bad news, but I don’t necessarily think it is. I don’t look at my life and wish I’d done things differently. Through the years, I’ve come to know my own mind and trust myself, whether others accepted me or not. Don’t get me wrong, acceptance is lovely! I couldn’t be happier that THE LOST TRACK OF TIME was accepted by my brilliant and deeply creative editor, Tracy Mack. But to be a creative, I had to believe in myself no matter what, and that took some doing. In THE LOST TRACK OF TIME, Penelope is not understood, encouraged, or accepted. She goes through a journey in the Realm of Possibility to find the Great Moodler, the godmother of all wonder and whimsy. Through this journey, she is transformed from an insecure daydreamer, to a great moodler in her own right. She returns to the ordinary world, secure in her creative powers, no longer dependent on external approval. That’s easy! When readers open my books, I hope they find themselves. I hope they see their own story reflected in its pages. Maybe the details are different (I doubt anyone has actually fallen through a hole in their schedule), but the message and the meaning they discover are ones they recognize from their own life. Author bio: Paige grew up in a small town in Texas with her nose in a book and her head in the clouds. She studied journalism in college and theology in graduate school, but never stopped reading children’s books for life’s most important lessons. 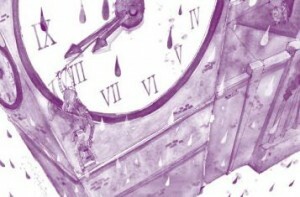 Her first book, THE LOST TRACK OF TIME, was released in 2015 from Scholastic Press.